Another quilt from Sunday Morning Quilts, done with my scraps in a totally new colourway. 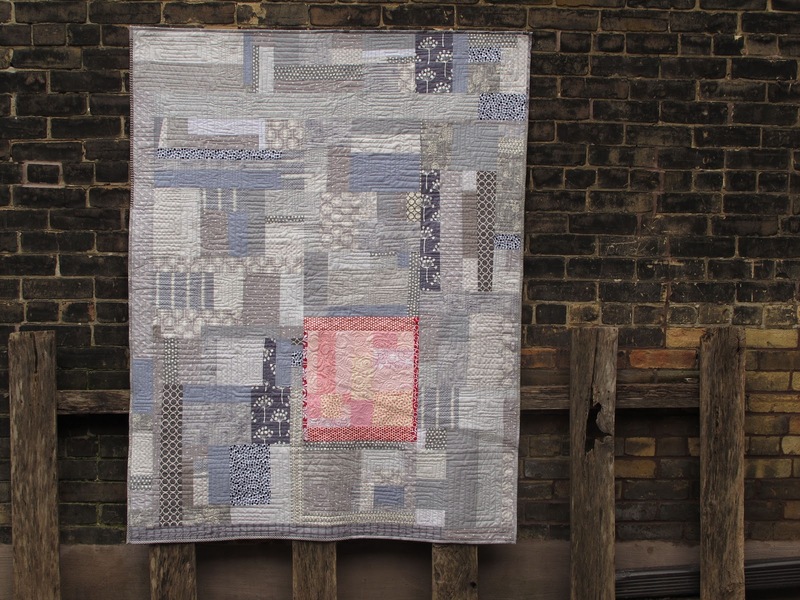 This quilt, quite honestly, reflects the journey I've taken since the book came out a year ago. ... It is me, sewing up a pattern Amanda Jean created. I feel a bit of her, her friendship and enthusiasm, in each stitch. ... It is my never ending obsession with grey. And yes, I only 'made' a few scraps to complete this quilt. ... It is a name that came from someone in the audience at one of my first trunk shows, where I shared the quilt top last summer. ... 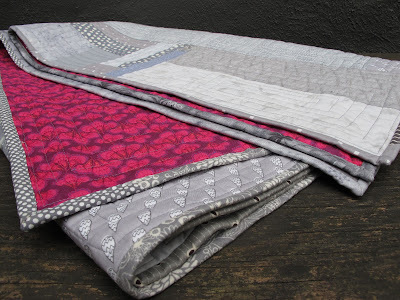 It is the last quilt I finished before travelling across the country for teaching and another trunk show - something I was never able to do before the book came out. ... 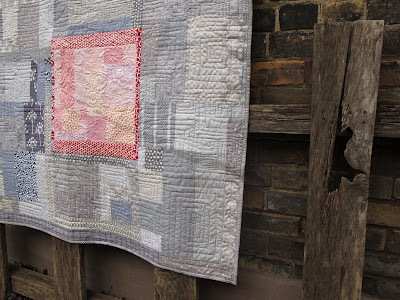 It is the quilt I photographed at The Workroom, while there teaching and taking advantage of their perfect for photography light and backyard. 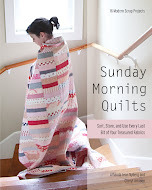 Without Sunday Morning Quilts nothing about this quilt would exist. For that, I am grateful. And although the name has nothing to do with the joy the quilt brings me, I do love it too. Quilted with a combination of Wonderfil Konfetti and Aurifil 50W thread. Swirls and pebbles and squared off spirals making this quilt heavy and dense. Perfect for a cuddle. Helped out with the use of Quilters' Dream Request batting in 100% cotton. 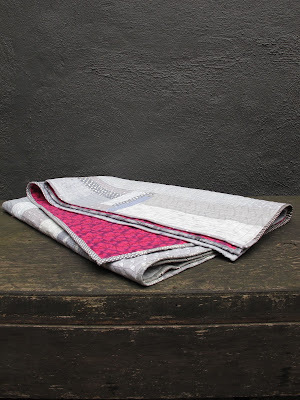 A scrappy binding in grey, so nothing stands out. Just a growing expanse of concrete. looks fantastic and the is a real eye catcher but very fitting. Have you ever seen the gum wall in Seattle? There is a whole of gum on that wall! I love the name. And also the grey. (There is also a gum wall in San Luis Obispo, CA.) I am not recommending Gum on Wall as a quilt name, however. again, your colors are perfect blends and contrasts. and the name could not be better. yay! I love the way you show off the grey fabrics. Showing everybody that grey isn´t a dull color! Love it and love the name. Love it! The book has given me lots of joy as well. Our SMQ Bee group is making our way through many of the quilts in the book this year. It's like a chance to test drive each quilt when making sections to help each other out. Seriously, best quilting book ever. And hilarity ensues! 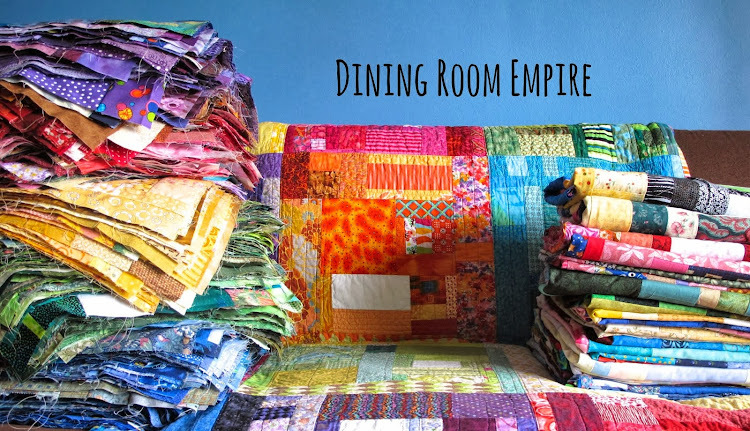 I love the name of your quilt! It makes me laugh out loud and makes me love your quilt all the more. Lee mentioned the gum wall in Seattle. I'm happy to say that I contributed a chewed wad to it ... all the way from Saskatchewan, Canada. I really love it, the pink is just right to be gum. I love the name. I love how it looks. 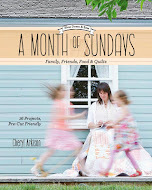 Love the quilt, love the name, and love that book aswell!! Great name for a beautiful quilt! Love the original quilt form the book and LOVE yours (what a great name!). Gorgeous! Now I wanna make one. There is something about gray for me, too. 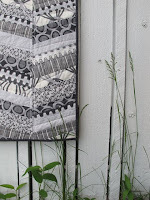 Love the quilting and the finished look is fantastic!